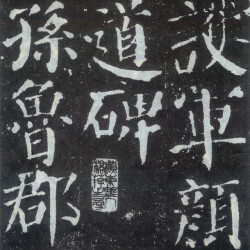 In 752, he wrote one of his best-known pieces, Duobao Pagoda Stele (多寶塔碑). 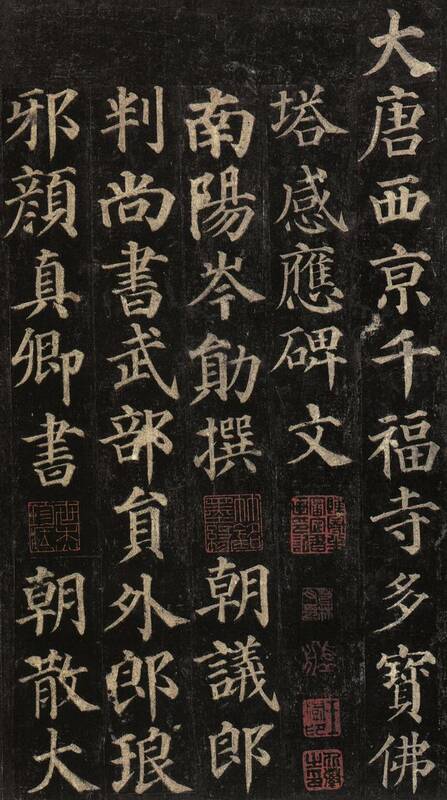 The stele has 34 lines, each containing 66 characters, and it was written for Emperor Xuanzong who was extremely pious to Buddhism at the moment. 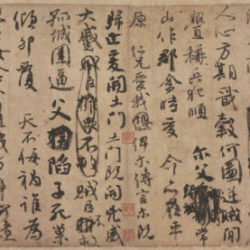 The style of the writing was close to that of the early Tang calligraphers, who emphasized elegance and “fancifulness”; yet it also pursues composure and firmness in the stroke of the brush, structuring characters on powerful frames with tender management on brushline. 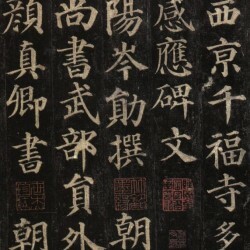 In the last ten years of his life, Yan Zhenqing’s calligraphy accomplishment peaked. 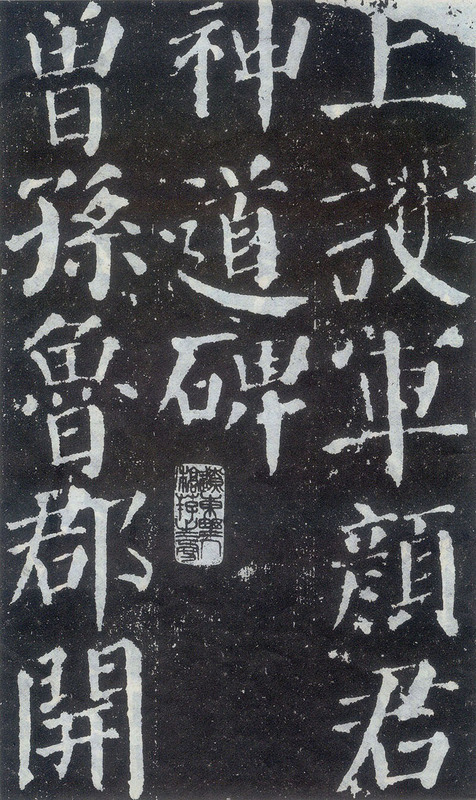 With established style, he continuously improved on each of his works, and completed his Magnum Opus, Yan Qinli Stele (顏勤禮碑), a tribute to his great grandfather. At this stage, he was able to fully exhibit his style at his will even through a single stroke, and under his modest and stately style bubbles the liveliness and passion.